MessyJesse - a quilt blog by Jessie Fincham: A Golden Hello! Hello, hello friends! A long and overdue post. So, you may wondering what happened to Messy Jesse ... well, I have now left London and the big city living in exchange for a much slower pace of life back in Cornwall where I grew up. It was a big decision that me and my partner both decided upon, and I'm happy to say it's the right one! and the best news ... we are moving into our very own house in October!!! Our 1st home! I'm super excited, the whole house needs a biiigggg makeover so I have already been gathering inspiration and ideas for what we could do. 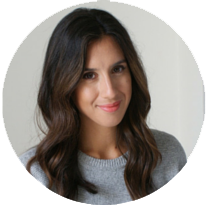 Over the next few months I will be posting some of my interiors finds with you all :) Fortunately, I also now have a lot more time for my shop, which has been closed while we were moving etc but will be open soon with a much needed shop update! Since being back I have re-discovered the wonder of our local charity shops. They suprise me each and every time I go, and I never fail to leave empty handed. I'm always scouring for little bits and bobs for the house now, but frequently find myself picking up some crafty paraphernalia! 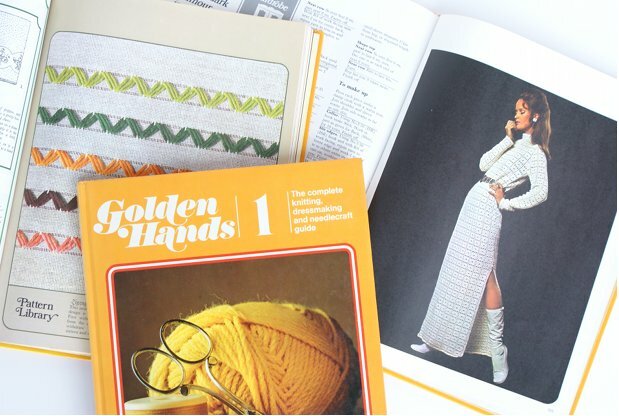 On a recent thrifty trip, I was delighted to come across a complete set of Golden Hands books on knitting, dressmaking, and needlecraft. 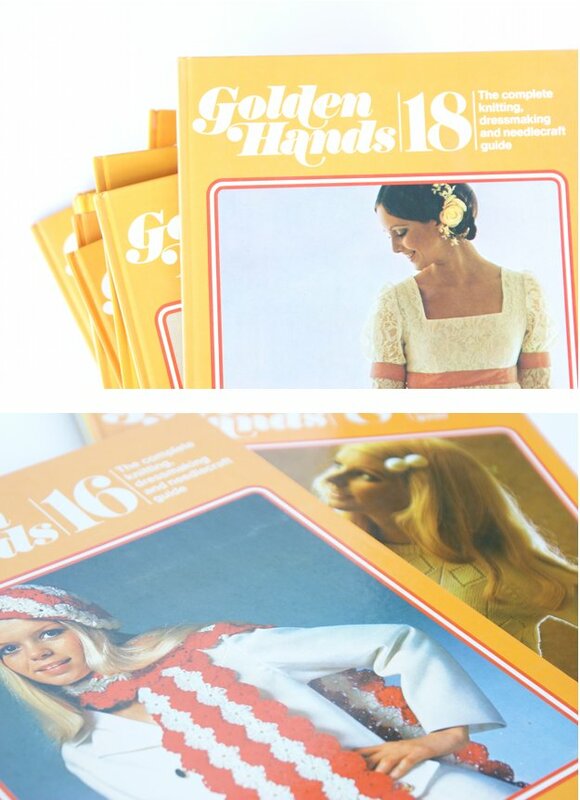 They are amazingly informative and feature some great projects which I will be undertaking - not to mention the kitsch fashions!! 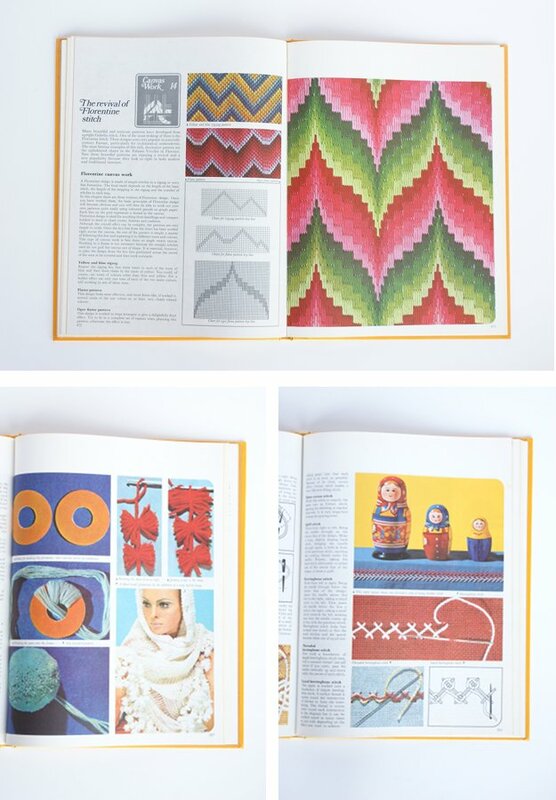 From what I understand they published alot of knitting, crochet and sewing books in the late 1960's and 70's, not sure what happened to them after that? 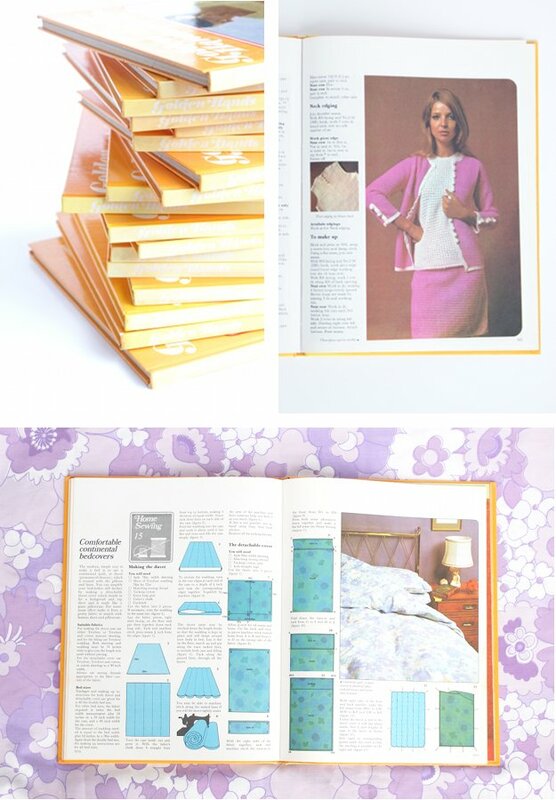 I know they also published a weekly 'Craft' magazine during that time too, because I managed to score a stack of them at Oxfam recently!! (will share more pics soon). welcome back Jesse! Congratulations on the move and your first home. Can't wait to see all you decorating and inspiration for the new house. I love my small town thrift stores too- such amazing treasures to find! I love the look of these - for visual inspiration alone, even if you never make anything out of them!